Do you love Instagram? If so, we have a feeling you’re going to be fired up about the app’s latest feature. 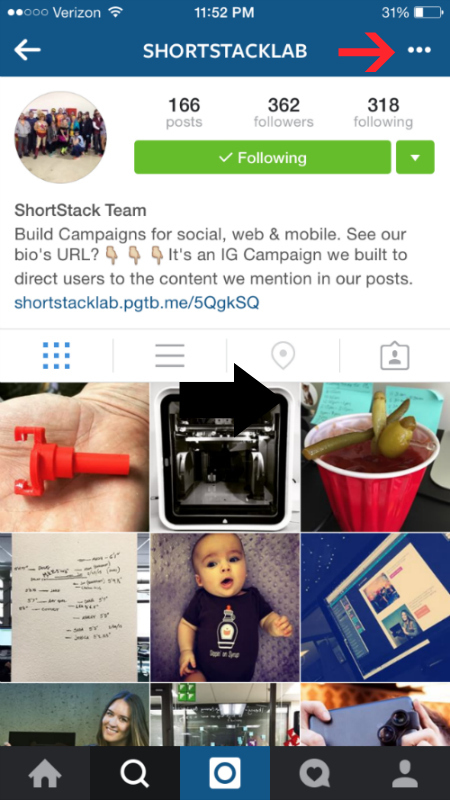 Yesterday, Instagram quietly enabled the ability to keep tabs on when favorite Instagram accounts are posting. Think of this new feature as the equivalent to Facebook’s old notifications feature — the one they rolled in 2012 which allowed users to opt in to receive notifications every time a page posted. Same idea. So why’s this new feature awesome? For starters, if a brand can get a good percentage of their Instagram following to set to receive notifications when they share a post, imagine what that could do for their reach and engagement! Last, if you’re into keeping up with what your competitors are sharing, this is a no-fuss way to make sure you don’t miss a thing. 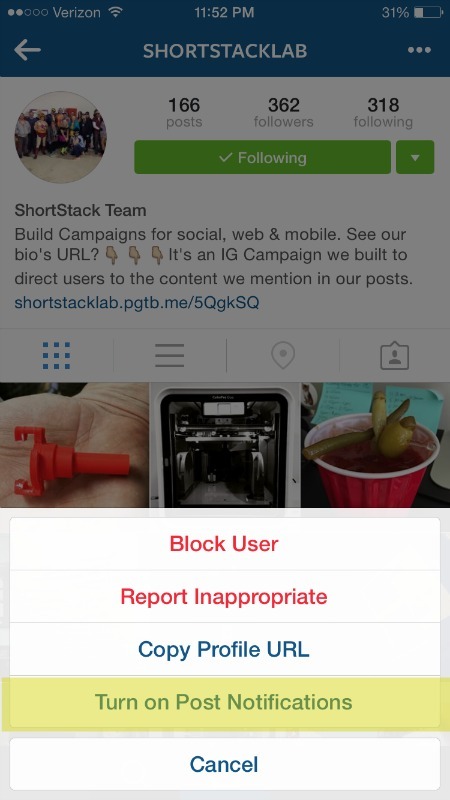 To enable notifications, go to an Instagram account you want to follow closely. Next, tap the ellipsis icon in the upper-right corner of the profile. A few options will then appear at the bottom of your screen. Select “Turn on Post Notifications” and you’re done! From now on you should get a notification whenever that account posts a new photo or video.